Moberly Sports Centre opened its doors to the community for the first time at the end of June 2018. 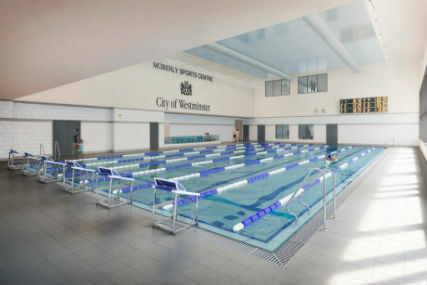 It is the first Leisure Centre to be built in Westminster for nearly four decades. At a cost of £28 million, the Centre’s facilities include a 25m pool, a 13m Learner Pool, sports hall, dance studios, boxing hall, multi-use room and a gymnastics hall. The Centre has been designed to accommodate all abilities, allowing the whole community access to the facilities on offer. With a wide range of activities for all ages, there is something for everyone. Spectile Ltd are pleased to have been chosen to supply the architectural tiling package for the pool tanks.